Professional Imagemaker, formerly known as The Society Photographer, is a bi-monthly photographic magazine founded in April 2005. 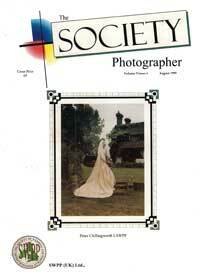 The Society Photographer was first released in August 1999 and edited by Phil Jones, this was the first colour magazine to be distributed to members of The Society of Wedding and Portrait Photographers (SWPP). 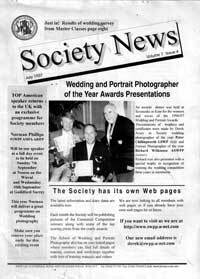 Previously to this The Society Photographer pamphlet was known as Society News and edited by Derek Avery who at the time was Chief Executive of the SWPP. Regular features on weddings, portrait, landscape nature, wildlife, sports, fashion, glamour photography along with reviews on camera gear. In other words Professional Imagemaker covers a wide and in-depth range of articles related to the photographic world. Edited by Mike McNamee, Mike gained his Fellowship with RPS (Royal Photographic Society) and has won numerous national and international awards for his photography. Mike was also the editor of Digital Photographer and Creative Imaging magazine before become the Professional Imagemaker editor. Archived articles from Professional Imagemaker can be found along with photographic news right here on our web site. Check out the Digital Edition/HTML5 version of Professional Imagemaker.